Snoring is not just annoying for those sleeping nearby, but it’s also unhealthy. Problems with snoring include sleep deprivation (frequent waking), added stress on the heart, light interruptions of breathing and many others. But snoring can also be a symptom of health problems, like obesity, a deviated septum and even allergies. Studies suggest that up to 30% of the general population snores, and that percentage tends to increase with age. Vibrations in the upper respiratory system cause snoring, and can vary in degree of severity and health risks. 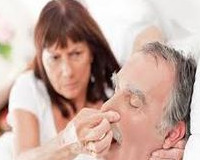 Because there are many health conditions that can cause snoring, there’s not one “one-size-fits-all” treatment. Treatments can range from the extreme, usually involving surgery, to something as simple as wearing a mouthpiece. Here are a few snoring aids and a description of how they work and their overall effectiveness. These are the easiest and cheapest solutions for snoring relief. One such snoring aid is called the PureSleep mouthpiece. It’s a simple self-molded retainer that works by holding your lower jaw a little more forward while you sleep. With your lower jaw moved slightly forward, it opens your airway wider, allowing you to breathe without snoring. Unlike other costly mouthpieces that require a dentist visit for a custom fit, the PureSleep only needs to be warmed up in hot water to soften the material then can be fitted into your mouth. Another mouthpiece on the market is the SnoreMeds mouthpiece. It works in the same way as the PureSleep, by moving your lower jaw forward to open up your airway. And like the PureSleep, the SnoreMeds mouthpiece only needs to be warmed up in boiling water to soften the mouthpiece so it can be properly molded in the user’s mouth. Anti-snoring chin straps are another option for those looking to get a quiet night’s sleep. A chin strap works by holding your jaw in place and keeping your airway open. The benefits of the chin strap is that they’re easy to use, no fitting or molding to your mouth is necessary and are very inexpensive. 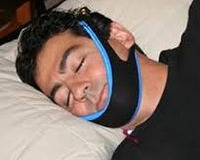 Chin straps are often used in addition to CPAP therapy. A CPAP machine forces air into your airway, keeping it open while blowing air into your throat. If someone sleeps with his or her mouth open, the air forced in by the CPAP machine can flow right back out, rendering such therapy almost useless. A chin strap, however, will keep the mouth closed, reducing the risk of air escaping from the mouth. Unlike mouthpieces, chin straps are used on the outside of the head. This means that if you toss and turn during the night, there’s a chance it might come off. Also, if you’re suffering from nasal congestion and cannot breathe freely through the nose, wearing a chin strap might cause some serious health issues. In fact, these anti-snoring pillows have faced a lot of criticism. Mainly, that people snore for different reasons, and a pillow isn’t going to be the cure-all like they claim. Secondly, theses pillows rely on you to sleep on your side. When you’re on your back, your tongue relaxes and falls back a little, which is a common cause of snoring. So turning onto your side, regardless of what type of pillow you have will stop the snoring. Finally, these pillows are expensive. They can run upwards of a hundred dollars or more. The biggest benefit of the products mentioned above is that they don’t require a doctor’s visit or a prescription. Except for the pillow, the snoring aids listed above are relatively inexpensive and won’t interfere with your sleep. You can try both the mouthpiece and strap to see which works best for you, without spending a lot of money.